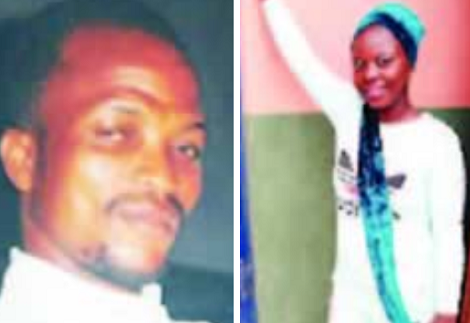 Punch Metro learnt that the suspect beat the 28-year-old to death during a disagreement at their home and dragged her corpse on the ground to a place near the community well, where he buried her. The matter was said to have been reported to the police at the Morogbo division, and the suspect was declared wanted. Punch correspondent gathered that the marriage had been fraught with violence and the family of the woman had urged her to divorce him. A source told Punch correspondent that the victim might have been killed over her plan to travel overseas in January 2018. He said, “The couple have been married for some time now and they have three children together. I cannot explain how they met and married because while the man is a bricklayer, the wife was a graduate. They had been having a series of domestic problems and neighbours were always called in to resolve their fights. In fact, the quarrel got so critical that the woman’s family advised her to separate from him because they were not compatible, but she refused. Punch Metro learnt that the suspect had fled the house just as the case was transferred from the Morogbo Police Division to the command headquaters, Ikeja. Efforts by residents and family members of the deceased to find the suspect had yet to be successful. Punch correspondent gathered that the father of the victim, Mr. Atewologun Kalejaiye, had been inconsolable since the death of his daughter and called the police to give the family justice. The state Police Public Relations Officer, SP Chike Oti, confirmed the incident, adding that the matter had been transferred from the command to the State Criminal Investigation and Intelligence Department, Yaba.